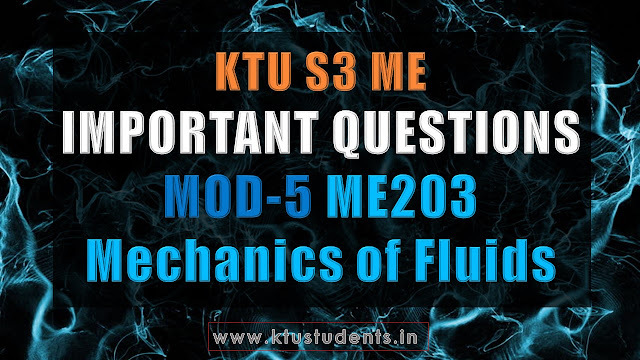 Fifth module Important and repeated questions of third semester S3 mechanical engineering ME Subject Mechanics of Fluids ME 203. Questions Pdf preview and download links are given below. Mechanics of Fluids ME203 Important Questions | Module-5 Fifth module Important and repeated questions of third semester S3 mechanical engineering ME Subject Mechanics of Fluids ME 203. Questions Pdf preview and download links are given below.